Why only Men is made responsible for Domestic Violence in India ? 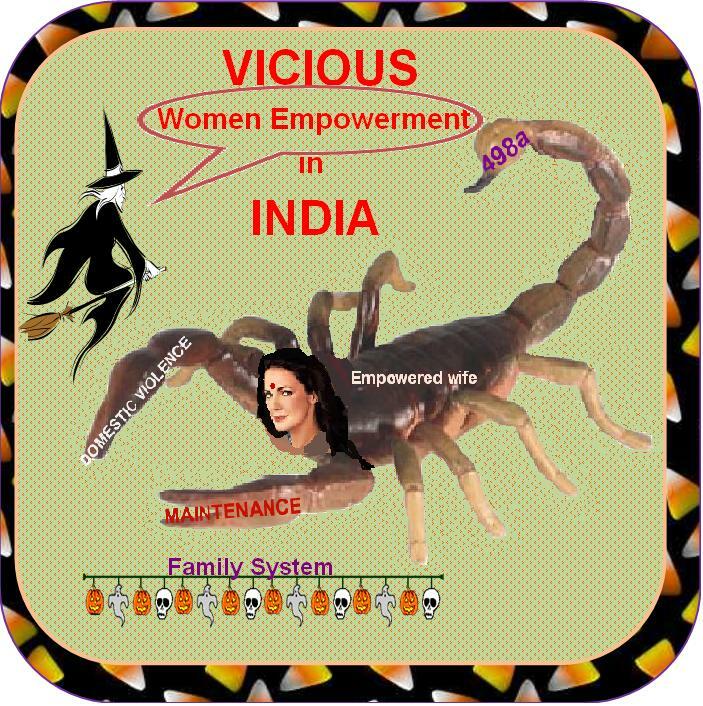 Are still living in the illusion that India is a male dominating society. Think it below their dignity to voice for their rights. Are taught to pamper woman right from birth. Follows the feministic fashion prevailing in society( as they don’t want to be odd man out). Do have “Chalta Hai” attitude. Don’t have “M “ factor. Are afraid of their spouse and prefers to be slave to them as suggested by Hon’ble Supreme Court. Are not concerned about this issue as being busy in bread earning, maintaining and protecting their families. Last but not least, corruption in system, decline in social character, fall in ethics & values alongwith adulteration in food articles, pollution in environment, global warming and green house effect etc. etc. etc. There is still time , I urge MEN TO AWAKE NOW and FIGHT FOR THEIR RIGHTS as this species(real man) is already on the verge of extinction in India.